Setting aside an entire room for formal dining is a luxury when space in most houses is at a premium. Take into account families sitting down to eat together less often — adults working different hours, kids coming and going for sports, people having different diets or food likes — and a preference for casually sitting around the kitchen island or garden table, and a formal dining room could often be put to better use. Here are some great ideas for what could otherwise be wasted space. 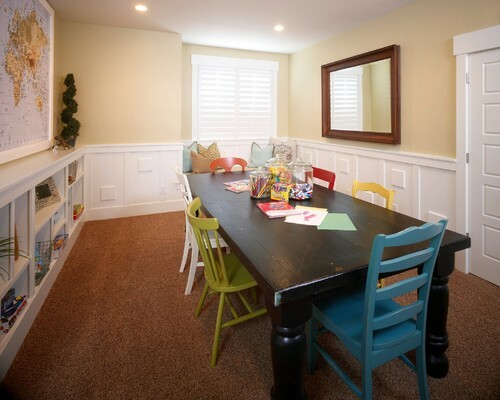 If you can hardly move because of toys cluttering the living room floor, coloring books and crayons all over the kitchen counter, and bits of games in random places underfoot, create a dedicated playroom in your unused dining room. 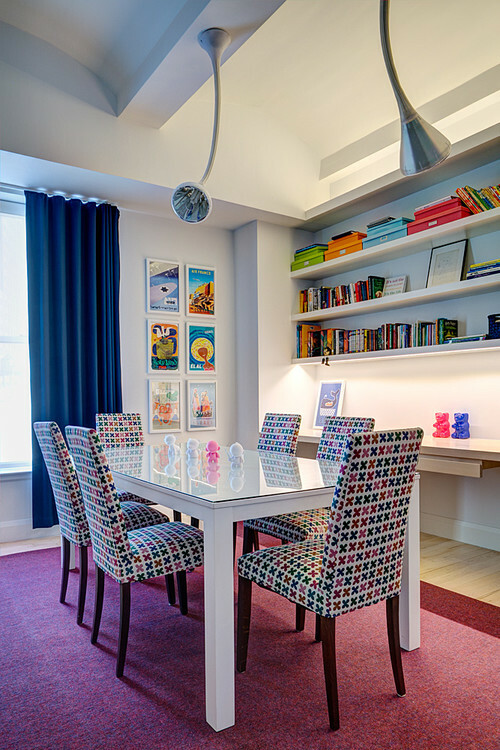 Dining rooms tend to be close to the kitchen, so kids would still be within earshot, but their mess would not be spread all over the house. Create clear storage places and cleanup rules (tidy up before bedtime), and sanity will be restored. Turning boxed games into a decorating feature might encourage family table time, rather than individual screen time. And secure storage keeps boxes in one piece — meaning no more losing that last valuable tiny hotel in Monopoly. As kids get older and homework projects run on for several days (or weeks), a homework station with all the tools, reference books and stationery they need in one spot means projects can be started straight away (no last-minute hunts for glue sticks) and works in progress can be safely left out between sessions. 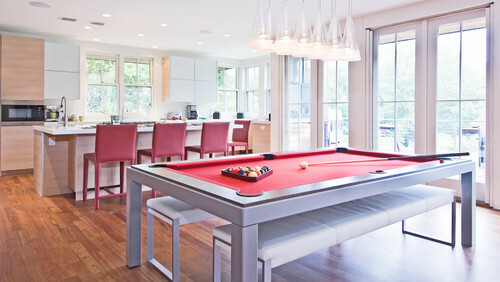 If you don’t have a basement, rumpus room or big garage, turn the dining room into a game room. Convert the table into a pingpong court with a fold-out piece of plywood, or buy a stand-alone billiards table. 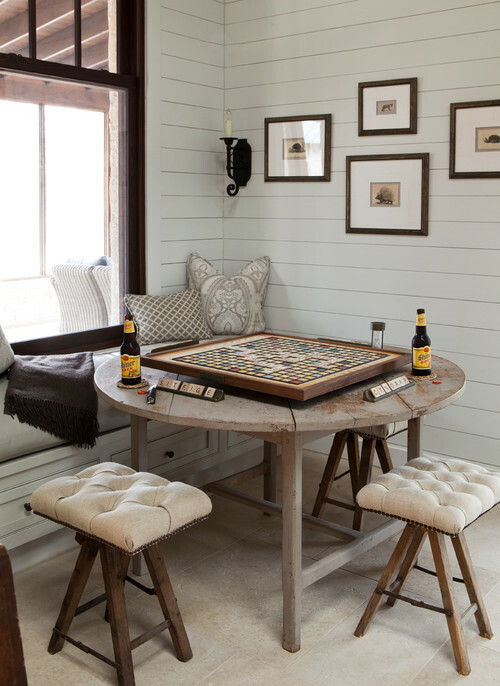 In a tinier dining space, add a folding table for cards or board games. You can use it for drinks or desserts for that annual big dinner party too. In many grand old houses in days of yore, the library and dining room were doubled up. 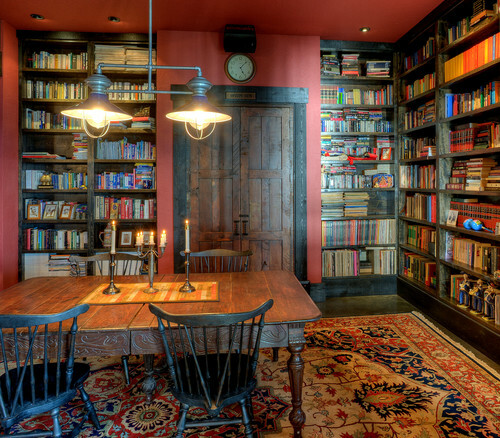 If you long to have tidy book piles, fill your walls with shelves and create the library of your dreams. If you don’t have walls for bookshelves, take a leaf from lobbies in luxury lodges and style the dining table with beautiful coffee table books and the latest glossy magazines. Pull up some chairs and encourage quiet reading time. See Also on Kiplinger.com: 9 Great Places to Retire Outside the U.S.
One of the joys of working from home is having an inspirational office that doesn’t look boring or corporate. Mix and match vintage and sleek, use a nice lamp instead of a work light, and add pretty accessories and a smart rug. This works well if the dining room is near the front door, so clients don’t have to troop through the rest of the house. Keep papers and supplies in stylish bins and boxes. Use a sideboard to hide unattractive paperwork for an easy switch to dining mode. There are no rules that say a work desk has to be square. The classic Eames chair seen here was designed for dining and office use. The pedestal Tulip table comes in several sizes and with different tops to create a classy office. 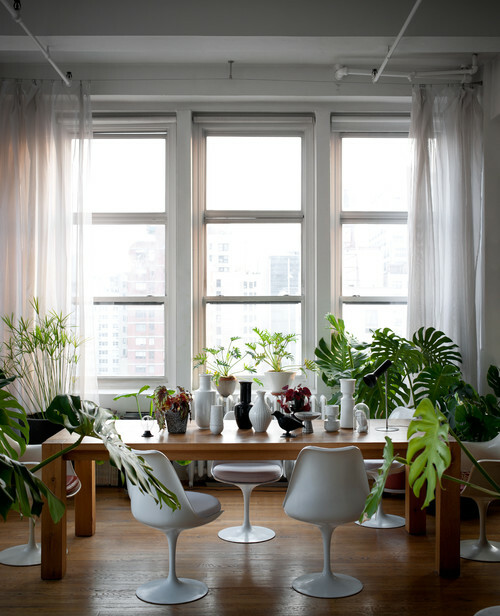 Indoor plants are taking over design photos, so let them take over your unused dining room. A gorgeous array of vases, pots and cuttings you are nurturing makes an enticing modern version of the grand old orangeries. Tip: Make sure your tabletop is sealed to prevent water damage to precious wood or lacquer. Or use a tray or padded waterproof cloth to catch spills. A second or third sitting room is a bonus retreat in a busy household. Even better if it is TV-free and has a fireplace, a view or fine art. 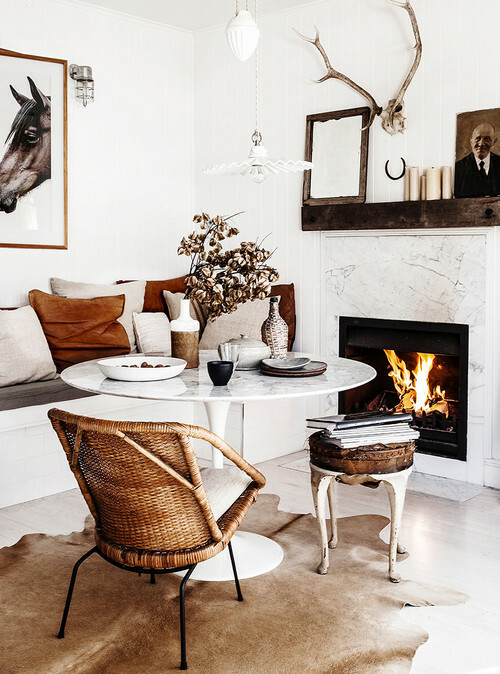 Leave the chaos to the main living room and retreat to a quiet corner here. 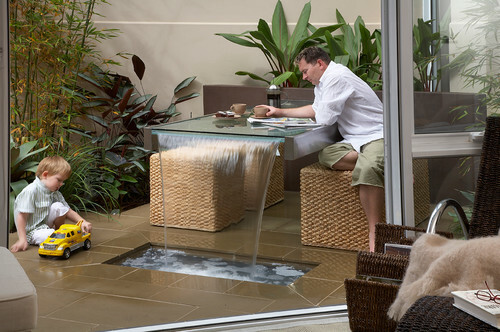 Most of us probably won’t be converting our dining room to a room with a flowing water feature, as this family did here. But we can still think creatively. This article is from Houzz, not the Kiplinger editorial staff.